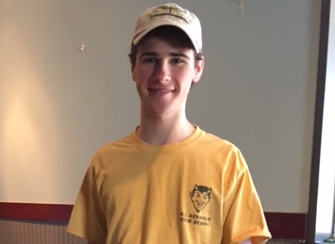 Talk about a Hero….how many other freshmen in high school do you know who have volunteered at H.O.P.E. 132 times? Hill Douglas embodies what H.O.P.E. is all about. He is a quiet leader, compassionate, able to work with and direct volunteers in every job as well as recruit friends and schoolmates to volunteer…always with a smile on his face. Hill could run Saturday mornings himself with no problem. While at Summit School, he helped organize a service day where students made and wrapped over 4,000 cake squares. Thank you, Hill, for your dedication and compassion!